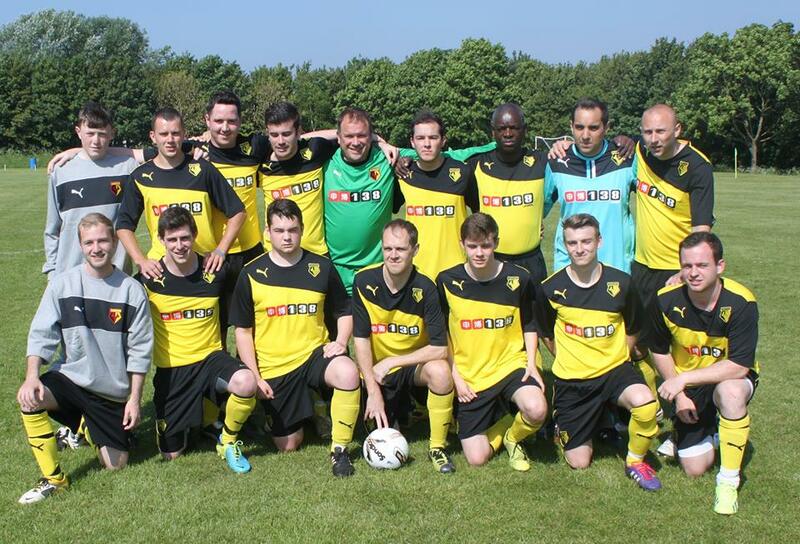 Watford IFC came away from the London Cup final empty handed, losing 4-2 to a strong West Ham side. New manager Richard Walker named a 3-4-3 formation for the Hornet’s third consecutive appearance in this competition’s final, bringing in Ben Pegram to lead the line and giving Brad Simmons a starting role in midfield. With the build-up focused on a high energy and committed performance WIFC started slowly and went behind in the opening minute, West Ham breaking quickly and their pacey forward slotted home. With the pitch on the narrow side both teams struggled for possession in a frantic opening to the game and the heat certainly played a factor. With the Internet ‘Orns starting to get hold of the ball they were hit again down the left as a long throw found an unmarked Hammer and he guided the ball into the corner. At 2-0 it looked, quite literally thanks to the slope, an uphill battle for the holders however a repeat of the 2012 final looked on the cards as WIFC hit back with two fine goals either side of the break. First Ally Hill hit a forceful free kick into the bottom corner, after it initially looked as if Joel Moody would strike it, and then James Jenkins produced a stunning long range strike that’s helped on its way by the keeper. A deserved equaliser for WIFC and several of the substitutes found their way onto the pitch to celebrate. With the heat reaching the mid-twenties, and the pitch getting harder by the minute, Walker made good use of those on the bench and the quartet of Paul Whittenbury, Matt Ladell, Andy Myall, and Ed Sterry were bought into the tight game throughout the second half. Unfortunately with the clock ticking down it was West Ham who would strike the killer blow and this time from the spot after their forward was pulled back in the box. 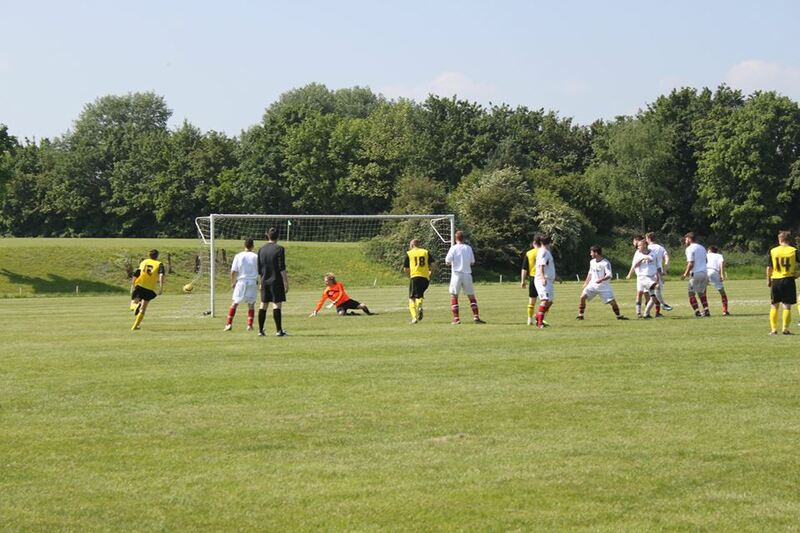 Walker could do nothing about the resulting penalty as it was confidently struck down the middle. 3-2 quickly became 4-2 as West Ham found space at the back and once through finished well. With the trophy heading back to East London, WIFC battled on and Walker, who had been replaced by Tom Beck after the fourth goal, stressed the need to keep the teams focus and work rate up. As WIFC pushed forward in the hope of another comeback, sub keeper Beck did well to keep out two efforts in quick succession, whilst up the other end Ally Hill almost forced his second goal of the game but headed wide. Ultimately, WIFC didn’t do enough to retain the trophy but left with their heads held high and you wouldn’t bet against them meeting West Ham again in the final next May. Team. Richard Walker; Moz Clarke, Richard Wenham, Ally Hill; Rob Stone, James Jenkins, John Sitkowski, Brad Simmons; Jimmy Davis, Joel Moody, Ben Pegram. Subs Ed Sterry, Paul Whittenbury, Andy Myall, Matt Ladell and Tom Beck.